Neem And Acne - Does Neem Oil Really Cure Acne? 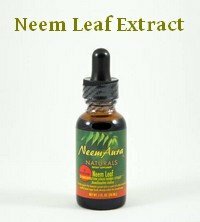 Is there any benefit in using neem for acne? The bad news: neem is not a miracle cure for acne. The good news: acne can be treated, and acne can be successfully treated with neem. If used correctly neem can work wonders. But only if used correctly! More and more websites are springing up, pushing the use of neem for acne. Neem acne soap, neem lotion and neem cream, and also the internal use of neem capsules, neem powder or neem tea (can be made from powder or neem leaves), they all supposedly work wonders. Neem is a powerful antibacterial herb and it can indeed be very helpful with acne. People do report great results when using it. 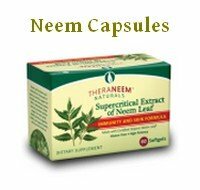 But don't run out now to grab the next available neem soap bar and that mega savings pack of neem capsules. There is a bit more to it. Acne is a complex medical condition. Everybody is different, every case of acne is different, and sometimes it can be a bit tricky to figure out the best treatment. This section will help you to understand your acne, to assess your own situation, and to decide if and how you should use neem for acne. 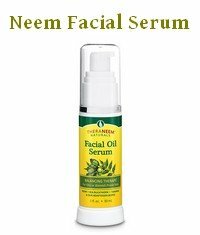 Neem Oil and Acne: what is acne, how is it treated, and where does neem oil fit into this? 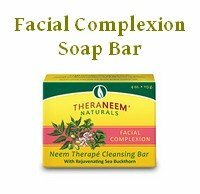 Neem Soap for Acne: acne and skin care, and why using neem soap for acne can backfire. Neem Capsules and Acne: neem capsules are the most frequently reommended neem acne cure. Why? Neem Powder and Acne: different ways to use neem powder for acne. 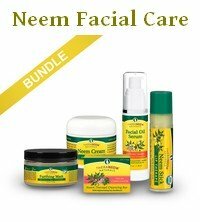 Have you used neem oil or other neem products to treat acne at home? Other readers would love to hear about your first hand experiences with neem. Both good and bad experiences are more than welcome. It's easy to share your experience with us. Just fill in the form below. You can also use the form to ask a question. Check below the form to see what others have said or asked. Enter a title for your review/story/question. Your experience will appear on a Web page exactly the way you enter it here. You can wrap a word in square brackets to make it appear bold. Like this: [my story]. Click below to read about other readers' experiences and questions about neem and acne. 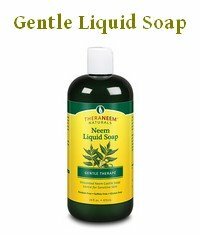 Just neem soap and neem oil for whiteheads?